Dr. Vihara Walawwe Jagath Vasanthathilaka Consultant Rheumatologist. Kandy, Sri Lanka. …This article provides you with a collection of references related present status of constitution for your information. Constitution of the planned Elam State. ආණ්‌ඩුකාරවරයා පත් කිරීමේදී ELAM මහ ඇමතිවරයාගේ අනුමැතිය ලබා ගැනීම. https://www.scribd.com/document/331612228/06-CenterPheriperyR-Ste#download If you still have any doubts please read these links for more details. http://www.colombotoday.com/24601-2256252/ Elam constitution. .දහතුන් වැනි සංශෝධනය මගින් පළාත් සභා සඳහා ලබා තිබෙන ඉඩම් බලතල තවදුරටත් ශක්‌තිමත් කොට ඉඩම් කළමනාකරණය කිරීමේ බලතල සම්පූර්¨ණයෙන්ම පළාත් සභා සඳහා පැවරීම.ඉඩම්, පොලිස්‌ සහ මුදල් පිළිබඳ පූර්ණ බලතල පළාත් සභා සඳහා ලබාදීමටත් පළාත් සභා විසුරුවා හැරීමේ ජනාධිපතිවරයාට දැනට ඇති බලතල සීමා කිරීමටත් නව ආණ්‌ඩුක්‍රම ව්‍යවස්‌ථාවට යෝජනා ඉදිරිපත් කර ඇත. This the most dangerous part මුදල් පිළිබඳ පූර්ණ බලතල LTTE will be able to collect funds, and the LTTE will then be able to buy weapons for another war. Please prevent division of our beloved Nation and evolution of another armed conflict which will be much worse than the thirty year war we faced in this country. You may obtain more information on this site. https://www.facebook.com/Rata-Rakina-balamuluwa-රට-රකින-බ…/… Rata Rakina balamuluwa රට රකින බලමුළුව please see this page and regularly visit this page for more information on new Constitution. Rata Rakina balamuluwa රට රකින බලමුළුව successfully organized an Adhishtana Pujawa on 11th December 2011 as an initiative to defeat New constitution in a referendum. ශ්‍රී.ල.නි.ප මන්ත්‍රීවරු 11 දෙනෙකුගේ නම් ද හෙළිදරව් වී තිබෙනවා. Vyawasthawa sammatha karata passe anith aya eliyata danawada? Is this the plan? Will others be kicked out of the government after passing new constitution? Will they be kept just to pass the federal constitution? shared Ahangama,Galle,Sri Lanka.‘s post. http://www.mrnews.lk/breaking-news/ හවුල් ආණ්ඩුව අවසන් කොට එක්සත් ජාතික පක්ෂ ආණ්ඩුවක් බිහිකිරීමේ සාකච්චා අවසන් අදියරට පැමිණ තිබෙනවා. New constitution will be presented to the parliament on 10th of January. Please prepare for a referendum fairly soon. Our referendum in few months time will not be on political issues it is an issue related to the future of our Nation as a single unitary state, that will be on future of Sri Lanka. There are no political parties when it comes to this issue related to the next referendum. Here, we do not intend to support any political party, you are not supporting UNP or the Joint Opposition. JVP also did not talk about this problem, probably because of some benefits from Ireland or something. Rev. Rathana thero and Minister Ranawaka are silent because of their personal gains and political commitments. Politicians of both parties will vote for their personal gains they have already received their share and probably awaiting next installment as Rajitha stated prior to the election. Have they explained before, why the politicians vote for a separate state in a new constitution? Please listen to their explanation on their own words! 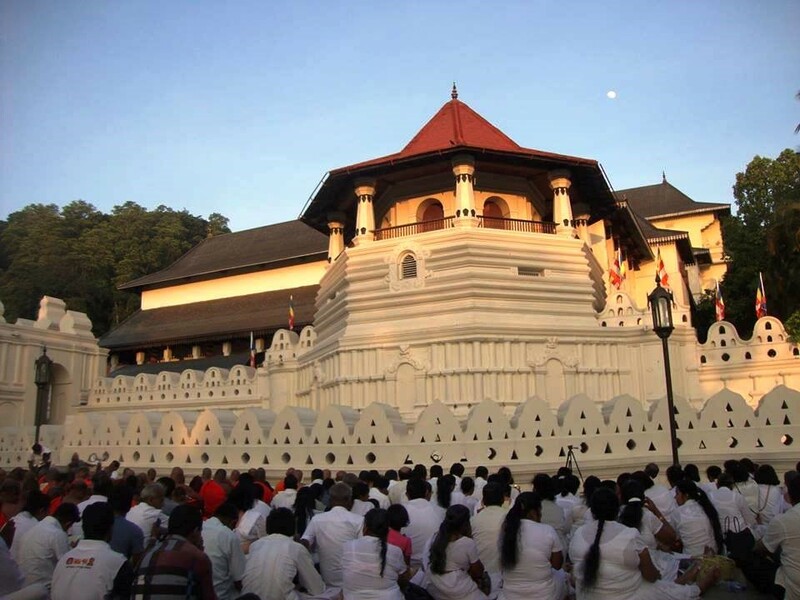 https://www.youtube.com/watch?v=-KUuFh_Q58I UNP has already decided to vote for this constitution, SLFP ministers in the government campaign for new constitution in Malwatta temple. TNA is telling the truth to their voters, all the others hide the reality from the public. Parliament will overwhelmingly vote for new constitution. Do not expect anything from the present set of MPs in the parliament, never trust them. Only hope for a unitary Sri Lanka is the next referendum. We support the Adishtana Pujawa in Dalada Maligawa as an initiative to face a referendum effectively. If we vote for our country we should receive 77% they will receive 23% for their county. Sri Lankan identity should win at the end, just like in the United Kingdom , they preserved British identity. You may translate this message, forthcoming referendum is not a political issue it is a national issue related to the integrity of our nation. Please stop establishment of an Elam state in this land. We are a colony of India run by Indian colonial parasites. The only solution is for the Sinhalese to unite and stand up to India. True ”We are a colony of India run by Indian colonial parasites. The only solution is for the Sinhalese to unite and stand up to India.” However, Key issues facing Sri Lankans at the moment are 1. Our greedy political leaders and politicians work for the division of the country into two states , Elam and Sri Lankan state. 2. Our television media and news papers do not explain the danger of separatist constitution to the ordinary people. Sri Lankan population still trust our politicians and expect them to defeat new constitution in the parliament, according to the evidence (references)presented in the article parliament will vote for a separate state Elam. Unfortunately our ordinary people are not aware of the LTTE agenda and some voters will vote for a political party in the referendum. Media has a major role to educate our people before it is too late. We hope Lankaweb will take the initiative. Another informative reference on planned New Constitution. Rata Rakina balamuluwa රට රකින බලමුළුව’s live video. This entry was posted on Monday, December 12th, 2016. You can follow any responses to this entry through the RSS 2.0 feed. You can skip to the end and leave a response.